The desert festival and experimental community Burning Man, is an oasis of visual and preforming art in the desert of Nevada. Though famous for many other reasons, I first learned about the festival in a contemporary art class. 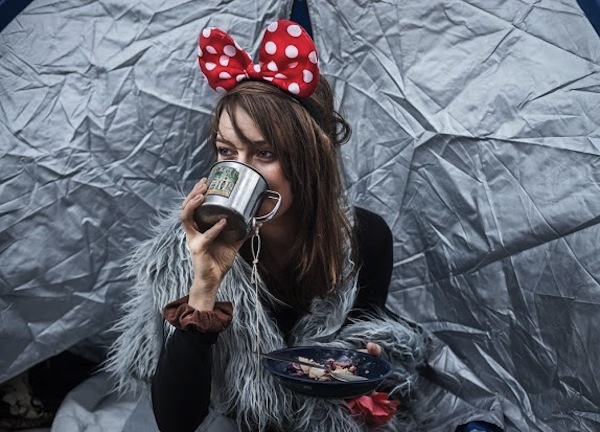 There are art cars, complex wooden temples, theatrical performances, musical performances, costumes and crafts. The majority of the artists are not regular participants in the fine art world and their “outsider artist” perspective provides insight and vision that makes the festival unique and fascinating to art lovers and laymen alike. And most importantly, they burn the projects at the end. “The Burn” is an intense cathartic ritual, which does not represent destruction but a clearing for the new development and invention, for individuals and the community. Among the many international participants are globe trotting Israelis who have not only gone as spectators but have contributed with themed camps, and last year, a sculpture of a giant Hamsa. 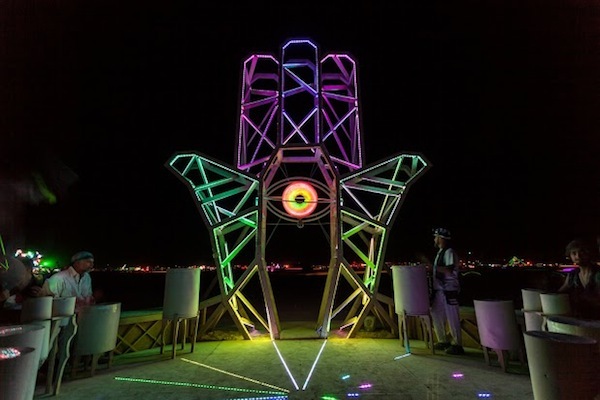 A drum circle surrounded the Hamsa, which when activated by rhythmic hands, would trigger colored lights in the sculpture to light up in mesmerizing patterns (video linked here). 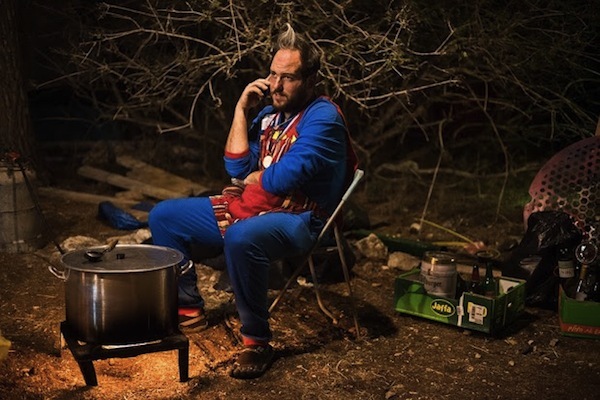 These men and women have for many years been bringing back with them the dream of a Burning Man festival in Israel and have staged a few informal versions in the past two years. 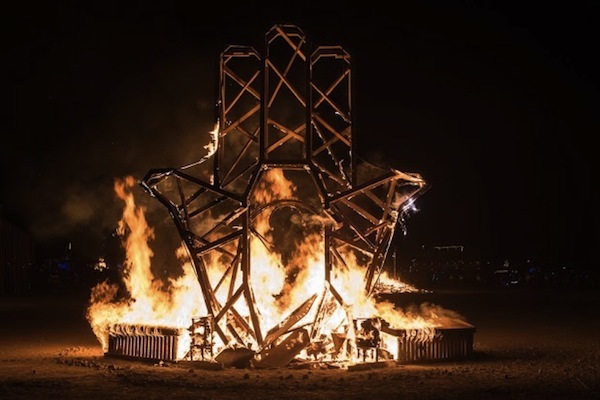 This Shavuot – now officially certified as a Burning Man franchise – a festival wittily titled Midburn, will be held in the desert of the South of Israel. The festival will follow the ten basic guiding principles of Burning Man, which comprise: radical inclusion (anyone can join), gifting (no money), decommodification (no commercial advertising), radical self-reliance (use inner resources), radical self-expression (gifting your creativity), communal effort (cooperation and collaboration), civic responsibility (responsibility for public welfare), leaving no trace (no garbage left behind), participation (culture of doing) and immediacy (being open to new experiences). It promises to be an incredible happening and on February 3, the staff of Midburn invited anyone who was interested to come to an open forum and call for artists, hosted by the Artists House in Tel Aviv, in order to solicit interest. They shared their vision, the layout for the camp and gave the stage to artists and visionaries to present their projects and ask for help. Some of the ideas included, a portable theater stage that folds up to the size of a small car, a sculpture based on DNA made by a scientist/artist and a huge spinning top like device that spurts fluorescent paint in a circular fashion creating an enormous splatter painting that can be enjoyed even at night. The event is fast approaching, it will be held from 3rd-7th of June 2014, and to be a success, artists, technicians and able hands need to pitch in. If you have an idea for a project, a themed camp, or happen to be handy or crafty, then check out http://midburn.com, and get in touch with the staff (art@midburn.org).